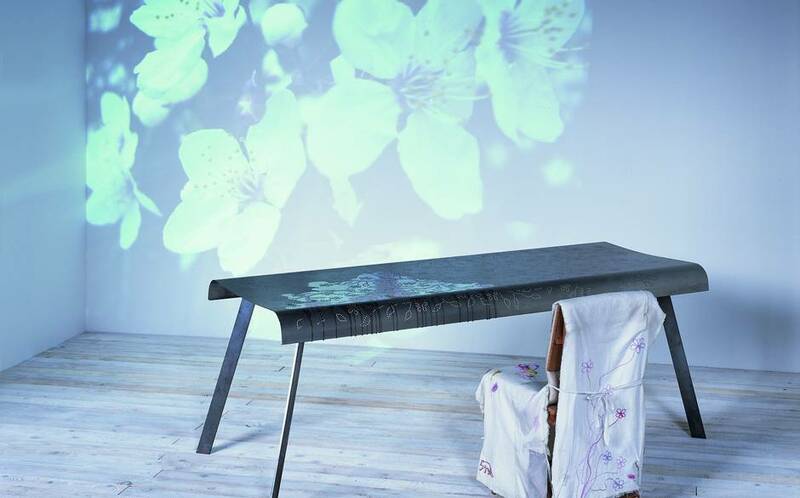 Image: Perforated table from the Wednesday Collection, 2000-2001, Studio Tord Boontje, etched metal, wood, textile, embroidery, glass, £8,000. 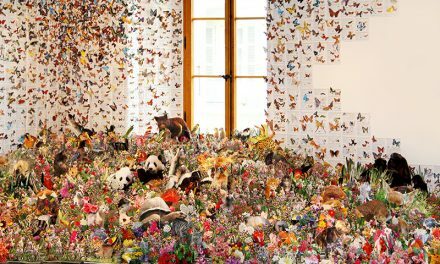 Until 18th January 2015, Sotheby’s London is hosting ORIGINALS, the selling exhibition of works by internationally acclaimed Dutch designer Tord Boontje and his wife, sculptor Emma Woffenden. 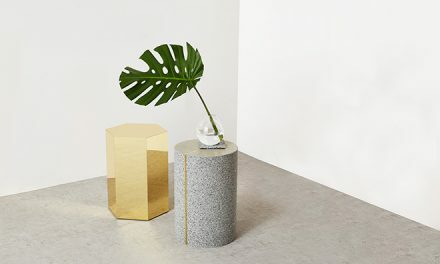 Curated by Janice Blackburn, one of Britain’s most influential curators, the exhibition offers a concise snapshot of both careers: Tord’s powerful and poetic furniture collections and Woffenden’s inventive glass making work, which explores the physical and psychological states of the body. Image: Ballerina (turning), 2006 by Emma Woffenden Glass bottle, polystyrene with car body filler, painted wood, motor, £6,500. 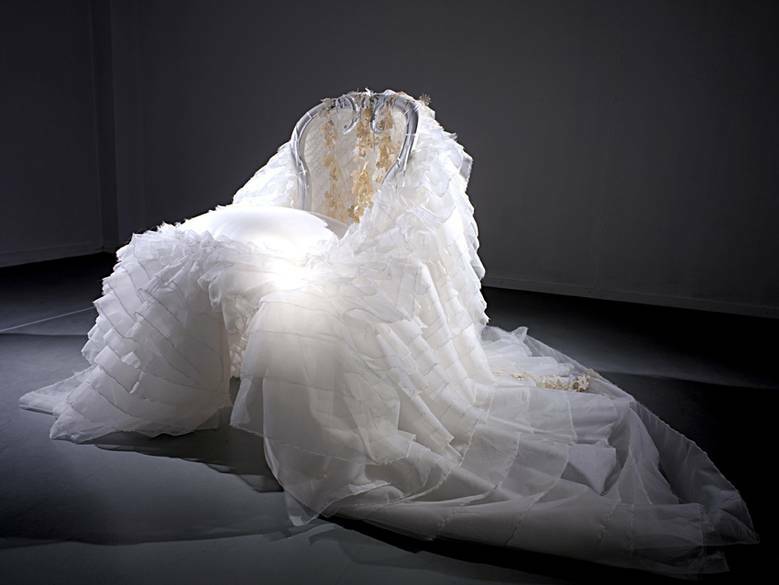 Image: Princess Chair from the Happy Ever After collection, 2004, Tord Boontje for Moroso, Antique chair, silk, embroidery, £12,000. 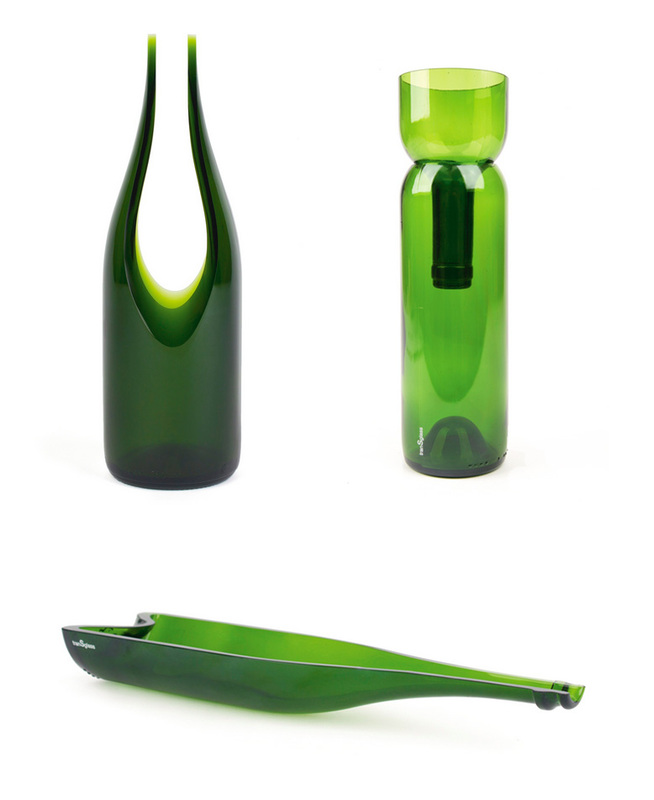 Image: Transglass cut vase, Transglass vase and Transglass champagne dish. 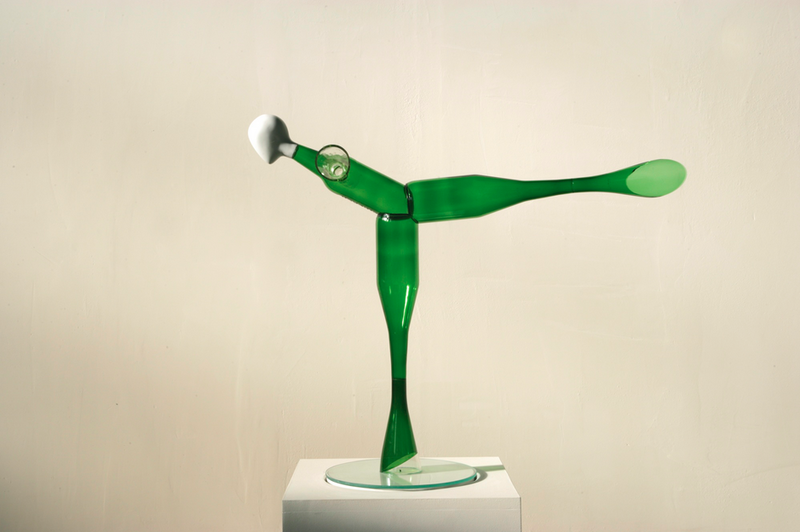 Tord Boontje & Emma Woffenden for Artecnica 1998, glass bottles. 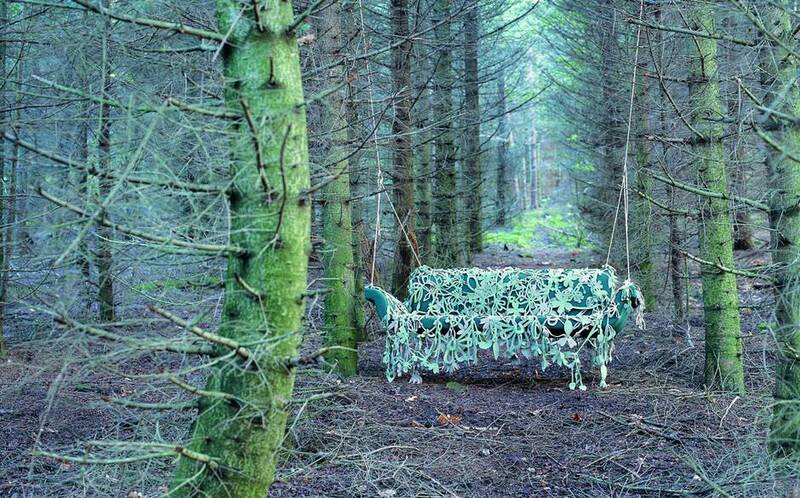 Image: Dondola, 2004, Tord Boontje designed for Moroso as part of the Happy Ever After collection, in metal, foam and wool, £9,000. 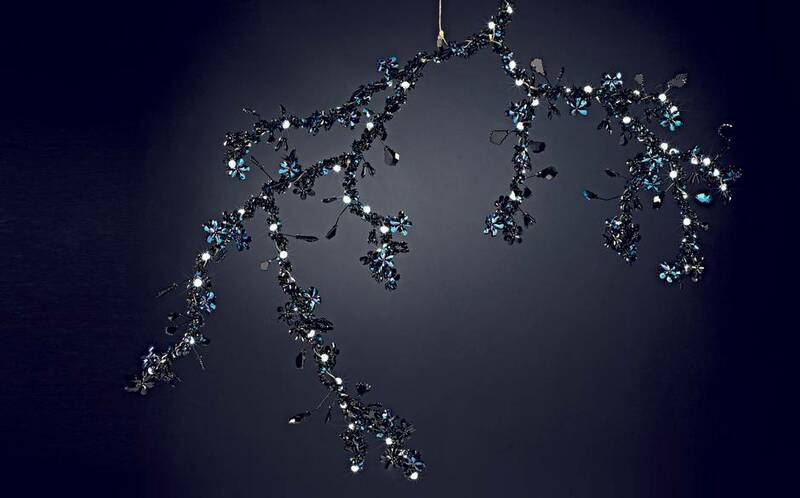 Image: Night Blossom Chandelier, 2003, Tord Boontje for Swarovski in jet black crystal. 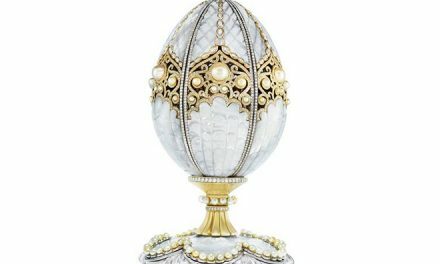 H 175 × W 130 × D 40 cm, £23,000. 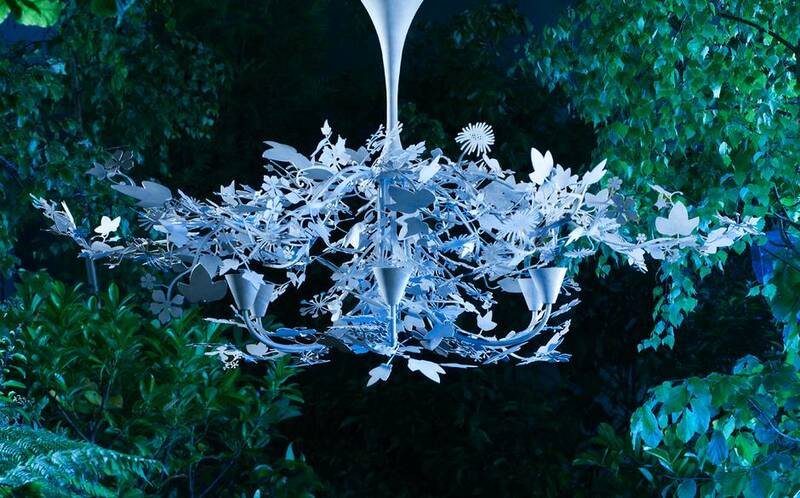 Image: Ivy Shadow chandelier from the Enchanted Forest collection, 2014, Tord Boontje for Porta Romana, aluminium, £11,250.